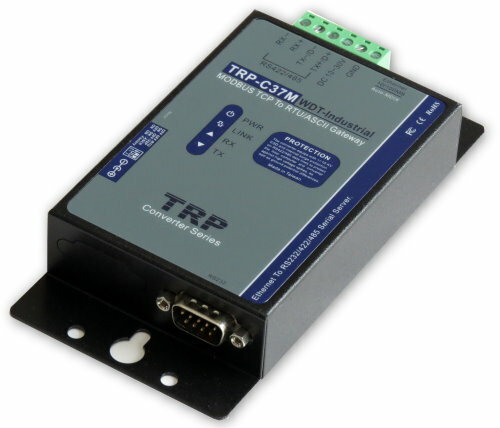 The TRP-C37M which is able to analyzes the protocols between Modbus TCP and Modbus RTU / ASCII. It able to assign the UID of Modbus TCP slave from Modbus Serial Master. The TRP-C37M which is suitable industrial environment Ethernet serial server, wide range power input and serial communicate protection, It Built-in surge, over current, over voltage ensure RS422 / 485 serial communication quality; if user lost password that can fast back to default by external switch. The TRP-C37M can as serial server that support 3 operates mode, "Direct IP Mode", "Virtual COM Mode", and "Paired Mode", these modes are supported Modbus RTU / ASCII protocols. 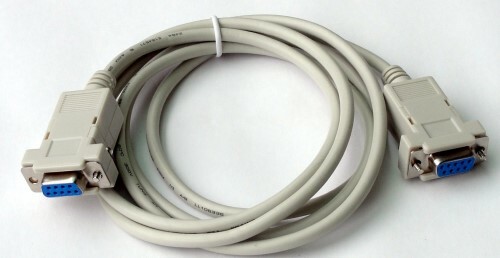 The TRP-C37M offers maximum connection 16 host clients to link the one serial server, it is easy to operate in Modscan32 and Modbus Poll many application uses Virtual-COM mode and Pair Mode. The TRP-C37M provides a watchdog timer function, The Watchdog timer allows the system to automatically recover from a system crash. When the TRP-C37M MCU stop working correctly, the watchdog timer waits for a preset period of time, and performs a hardware reset . When The TRP-C37M working at unstable voltage industrial environment, the power detection circuit can prevent the power fail cause of the boot fail then auto re-boot. The TRP-C37M will be auto detects function which will be auto connect when the LAN disconnect then re-connect or power off then power on. In network security, the TRP-C37 is able to set up 8 sets host IP, only these host IP can access the TRP-C37. 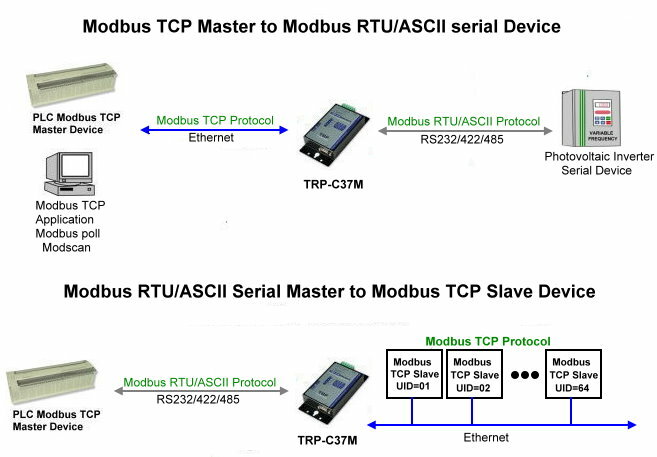 Modbus Type support TCP Master to Serial Slave and TCP Slave to Serial Master. Support 1 serial master to 8 TCP slave ,each TCP slave can free set up UID from 0~256.. Compatible with Modscan32 ,Modbus Poll,CAS Modbus Scanner and SCADA .. application. Support virtual com maximum connection 16 client. Auto switching RS-232/422/485 signal interface. Power/Link/UART RX/UART TX mode LED indicator. Back to factory configuration by external switch. Support configuration by serial console. Update the firmware from LAN. Dual power input select from screw terminal or DC-Jack. Modbus TCP Type: TCP Master and slave. Virtual COM drivers for Windows 98/WIN2000/WIN XP/Vista/WIN2003/WIN 7/WIN 8/WIN 8.1 and WIN10. External touch button: Back to factory. .
Power supply: Screw terminal, or DC jack. Configuration mode: Trycom Device Manager, WEB settings. Operating Temperature: -10 to 65 °C.